“Oh, I have slipped the surly bonds of Earth,” begins John Gillespie Magee Jr.’s personal explanation of what the experience of flight meant to him. In his poem “High Flight,” he clearly expressed the feelings of many pilots, whether they fly for fun or as a profession. While it is easy to capture the joy of “slipping the surlies” when aviators are beginning their journey of flight and are simply learning to master control of their aircraft, there is often an erosion of the ‘magic of flight’ over time. As hand flying and the development of proficiency gives way to the management of more sophisticated and capable aircraft systems and performance, the joy of flight can often be lost to repetition and the economic realities of life. Commercial aviation, after all, is not built around providing an engaging flying experience for its pilots; there is work to be done. The crucial constraints of carrying passengers and cargo in the safest, most reliable and predictable manner possible are what determine the way we operate, and have resulted in one of the safest modes of transportation known to man. It is this quest for predictability and security that has resulted in aviation becoming a fundamental necessity for business, travel, and the general conduct of today’s commerce. For many pilots, the significant demand for expertise and professionalism required to operate successfully at top tier airlines and other air carrier flight operations provides them with the challenge they were looking for when they embarked on a career in aviation. For many, considerations of schedule dependability, family priorities, work/life balance, travel benefits and other factors are of greater concern than the intangible influences described by Pilot Officer Magee in his writings. 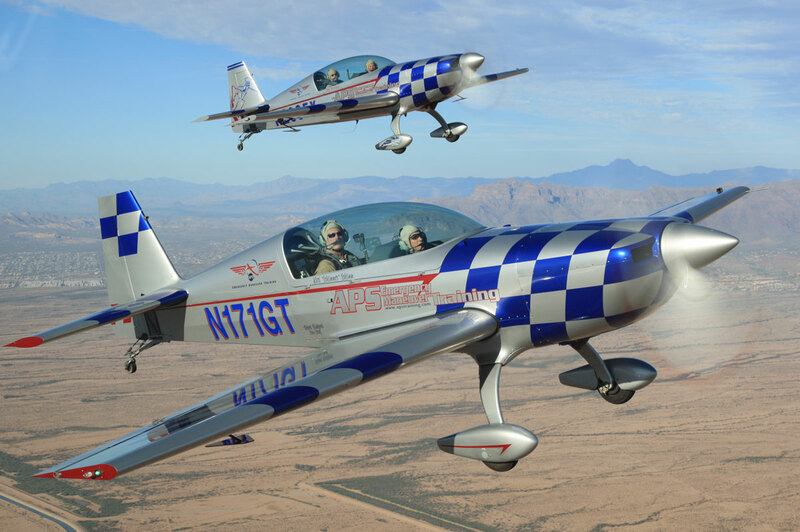 For some aviators, however, there is still a desire to “dance the skies on laughter-silvered wings.” They may long to utilize skills they learned in the military, or appreciate the challenges that aerobatic maneuvering has taught them. They may feel that these skills are not seen as economically valuable, and there is no way to be adequately compensated for all-attitude maneuvering. Until recently, that may have been true. In 2014 the International Civil Aviation Organization (ICAO) called for changes to pilot licensing standards which include the recommendation for the provision of Upset Prevention and Recovery Training (UPRT) in actual flight prior to Commercial Licensing. The instructor stipulations called for in their Manual on Aeroplane Upset Prevention and Recovery Training are significant, and require a comprehensive understanding of operations both within the normal envelope and beyond. The FAA is now requiring UPRT for every pilot receiving an Airline Transport Rating as well as all pilots of Part 121 Air Carriers. UPRT is now a required component of training, and for a very important reason: UPRT is the number one means of reducing Loss of Control In-flight (LOC-I) which has been the number one cause of fatalities in every sector of aviation for over a decade. In the last ten years LOC-I has accounted for a staggering 47% of all fatalities in airline aviation worldwide. For those whose full range of flying interests cannot be constrained by the limits of a Flight Management System and flying an aircraft primarily through inputs to automation, there is now new need for those with the desire to fly in a manner closer to that described in High Flight. The delivery of UPRT is certainly not about “wheeling and soaring through footless halls of air”, but it is about teaching pilots how to manipulate flight controls in a transferable way to return an upset aircraft back to the heart of the envelope where it safely belongs. 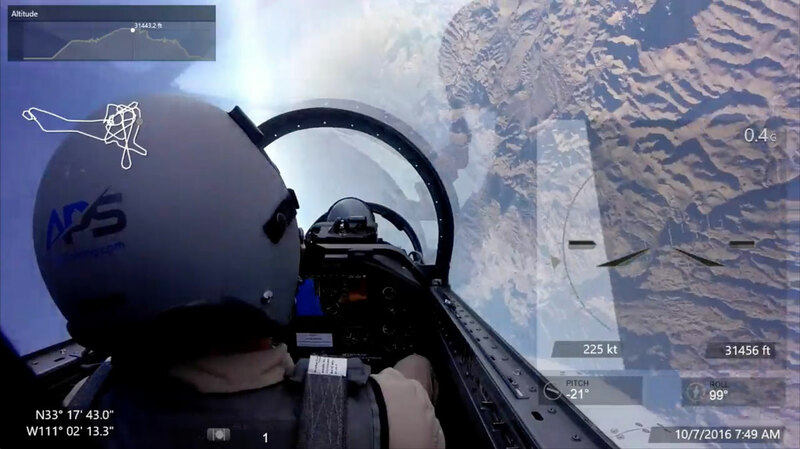 This requires not just vast all-attitude/all-envelope flying skills, but the ability to understand transport aircraft aerodynamics and operations so that elements of training can be taught in a manner that applies to every type of fixed-wing aircraft flying. If you have the all-attitude maneuvering skills and other qualifications required to teach others UPRT, you may have what it takes to join the APS Instructor Pilot cadre as an advanced upset training instructor. If you know a pilot that fits that description, please feel free to pass this information along. Our purpose is to help pilots bring everyone home safely. CLICK HERE for more information on a position as an APS Advanced Upset Prevention and Recovery Instructor Pilot in Dothan, AL or Phoenix, AZ.